Draft: 2007, Los Angeles Angels, 5th rd. Andrew James Romine… Married, wife's name is Kathryn… Played three seasons at Arizona State University (2005-07)… 2004 graduate of Trabuco Hills High School (CA)… His father, Kevin, was an outfielder for BOS and his brother, Austin, is a catcher/infielder for NYY… Signed by: John Gracio. Spent season with SEA l Appeared at every defensive position except for catcher l Made 3 pitching appearances, most in a season by any SEA primary position player l Hit safely in 15 of his last 27 games with an at-bat. Totals - Hit .233 (74x318) with 45 runs, 17 doubles, 2 triples, 4 home runs and 25 RBI in 124 games with Detroit... All Nine - On Sept. 30 at Minnesota, played all nine defensive positions, becoming the 5th player in Major League history to do so (last: Shane Halter-DET, 10/1/00 vs. MIN)… made his 4th career appearance on the mound, tossing 0.1 scoreless innings…became the first position player in the live ball era to earn a hold... Getting Defensive - Appeared defensively at 2nd base (27 games, 17 starts), center field (24 G, 20 GS), 3rd base (23 G, 5 GS), 1st base (22 G, 4 GS), left field (18 G, 15 GS), right field (11 G, 9 GS), shortstop (10 G, 9 GS) pitcher (2 G) and catcher (1 G)... Start It Up - Started at least one game at 1st base, 2nd base, 3rd base, shortstop, left field, center field and right field, becoming the first Tiger to do so since Shane Halter in 2000... Career-Bests - Set career-highs in games, at-bats, runs, hits, doubles, home runs and RBI... Goodbye Baseball - Belted his first career grand slam and collected a career-high 4 RBI on April 12 vs. the Twins. Tied a career high with 109 games played in 2016... Saw time at eight different positions during the season, playing 44 games at third base, 22 games in center field, 20 games at first base, 14 games at shortstop, 12 games at second base, two games at right field, one game at left field and one game at pitcher...Made an Opening Day roster at the major league level for the fourth consecutive year. Appeared in center field for the first time in his career on May 3 and made his first career appearance in right field on June 13... Hit the first triple of his major league career on May 22 vs. Tampa Bay...Recorded his first multi-hit game of the season on June 16 at Kansas City... Made the second pitching appearance of his career on June 18 at Kansas City, walking two in 0.2 scoreless innings... Belted his first homer of the season on July 24 at Chicago (AL)…was his first since June 23, 2015 at Cleveland... Drew a bases loaded walk on August 18 vs. Boston to give the Tigers the game-winning run...Hit his second home run of the season on September 27 vs. Cleveland... Posted a .226 (30x133) batting average against righties…batted .268 (11x41) vs. lefthanded pitchers... Hit .208 (16x77) at Comerica Park…compiled a .258 (25x97) batting average on the road... Batted .222 (14x63) with eight runs scored, one double, one triple and five RBI prior to the All-Star break…hit .243 (27x111) with 13 runs scored, four doubles, one triple, two home runs and 11 RBI following the All-Star break. Completed his second season with the Tigers in 2015, playing in 109 games. • Made 43 starts during the season at four different positions, including first base (six games), second base (six games), shortstop (22 games) and third base (nine games). • Recorded the first four-hit game of his major league career on April 29 at Minnesota. • Hit his first home run of the season on June 21 at New York Yankees. • Equaled his career high with his second home run of the season on June 23 at Cleveland. • Compiled a season-best, five-game hitting streak from June 21-25 -- also had a five-game hitting streak from September 7-14. • Posted a .257 (9-for-35) batting average against lefthanded pitchers...hit .255 (38-for-149) vs. righthanders. • Hit .224 (17-for-76) at Comerica Park...batted .278 (30-for-108) on the road. • Hit .300 (24-for-80) with 15 runs scored, three doubles, two home runs and eight RBIs before the All-Star break...hit .221 (23-for-104) with 10 runs scored, two doubles and seven RBIs following the All-Star break. Appeared in a career-high 94 games in his first season with the Tigers in 2014...Made a major league opening Day roster for the second straight season...Established a career-high with two stolen bases on April 20 versus Los Angeles -- equaled the high on September 7 versus San Francisco...Equaled a career high with three hits on May 4 at Kansas City -- also had three hits on September 15 at Minnesota..Hit the first home run of his major league career on May 23 versus Texas...Batted .300 (6x20) with three runs scored and two rBI during June...Compiled a season-best six-game hitting streak June 6-July 2 -- batted .375 (6x16) during the streak...Made his first career appearance at pitcher on August 22 at Minnesota, tossing 1.0 inning...Hit .333 (18x54) against lefthanded pitchers...batted .198 (39x197) with righties on the mound...Posted a .270 (33x122) batting average at Comerica Park...hit .186 (24x129) on the road...Recorded a .217 (31x143) batting average with 17 runs scored, three doubles, one home run and six RBI in 52 games before the All-star break...hit .241 (26x108) with 13 runs scored, three doubles, one home run and six RBI in 42 games after the All-Star break...Posted a .975 fielding percentage in 83 games at shortstop (325TC/8e)...had a 1.000 fielding percentage (12TC/0e) in 12 games at second base. Finished fourth big league season with the Angels batting .259 (28/108) with nine runs scored, three doubles and 10 RBI...Established new career highs in games (47), hits (28), runs, doubles and RBI... Made first career Opening Day roster with Angels before being optioned back to Triple-A Salt Lake on May 3...Recalled on August 14 and spent the remainder of the season with the Halos... Defensively played in 17 games at SS, 24 games at 3B and four games at 2B…Posted a combined .967 fielding percentage in those contests... Nine of his 11 career RBI came in the final 20 games of the season... On Sept. 2, logged first career extra-base hit, a double, in 80th big league at-bat... Hit .287 (104/363) in Triple-A Salt Lake with 16 doubles, five triples and four home runs…At the time of final recall, his 104 hits were third on the club while his 15 stolen bases and 43 walks ranked second. Made four different stints with the Angels in 2012...Played in a career-high 12 games, going 7-for-17 (.412) with an RBI and two runs scored...Prior to 2012, combined for three hits in two big league seasons (27 at-bats)...Reached base in six of seven games with an at-bat in 2012...Collected two hits in four at-bats as a pinch hitter...Went 2-for-4 with RISP...Set a career-high with three hits on June 30...First career multihit game and drove in first Major League RBI...Spent majority of the 2012 season with Triple-A Salt Lake, batting .285 (100-for-351) with 11 doubles, seven triples, four home runs and 39 RBIs...Led the Bees with 23 steals (tied for 11th in PCL) and tied for second on the club in triples. Began season at triple-A Salt Lake...Hit .281 (88/321) with four HR and 35 RBI for the Bees...Third time incareer batting over .280...First recalled by Angels, June 12...Appeared in 10 games (four starts) for Angelsand hit .125 (2/16) for season...Scored first career Major League run, Sept. 16 at Baltimore...Stole first careerMajor League base, Sept. 27 vs. Texas. Single in second inning on Sept. 26 vs. Chicago White Sox marked first hit of Major League career...Contractselected Sept. 24 from double-A Arkansas...Made Major League debut that evening with start at shortstop(0/3)...Named to the Texas League All Star Team after leading all shortstops with a .972 fielding percentage...Batted .282 with three home runs, 15 doubles, four triples and 34 RBI. Spent third professional season with single-A Rancho Cucamonga in 2009... Played career-high 131 gamesand set career-bests in hits (133), triples (9) and RBI (36)...Named Angels' Organizational Defensive Player ofthe Month for July and August. Led entire Angels' organization and also Midwest League in 2008 with 62 stolen bases...Ranked second inleague with 79 runs scored. Collected firsthit (single) on July 1 against Casper...Logged a 16-game hitting streak from July 1-21, batting .397 (29/73)with two homers and 18 RBIs...Hit for the cycle on Sept. 9 against Ogden, going 4-for-5 with five RBI...NamedPioneer League Offensive Player of the Week for July 16. March 25, 2019 SS Andrew Romine assigned to Lehigh Valley IronPigs. March 25, 2019 SS Andrew Romine assigned to Philadelphia Phillies. 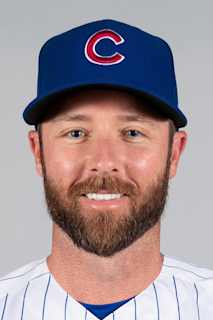 March 22, 2019 Philadelphia Phillies released SS Andrew Romine. March 22, 2019 Lehigh Valley IronPigs released SS Andrew Romine. January 11, 2019 Philadelphia Phillies signed free agent SS Andrew Romine to a minor league contract and invited him to spring training. January 11, 2019 SS Andrew Romine assigned to Lehigh Valley IronPigs. October 29, 2018 SS Andrew Romine elected free agency. November 2, 2017 Seattle Mariners claimed SS Andrew Romine off waivers from Detroit Tigers. March 21, 2014 Detroit Tigers traded LHP Jose Alvarez to Los Angeles Angels for SS Andrew Romine. August 14, 2013 Los Angeles Angels recalled 3B Andrew Romine from Salt Lake Bees. May 3, 2013 Los Angeles Angels optioned Andrew Romine to Salt Lake Bees. September 1, 2012 Los Angeles Angels recalled Andrew Romine from Salt Lake Bees. August 6, 2012 Los Angeles Angels optioned Andrew Romine to Salt Lake Bees. July 27, 2012 Los Angeles Angels recalled Andrew Romine from Salt Lake Bees. July 17, 2012 Los Angeles Angels optioned Andrew Romine to Salt Lake Bees. June 18, 2012 Los Angeles Angels recalled Andrew Romine from Salt Lake Bees. May 29, 2012 Los Angeles Angels optioned Andrew Romine to Salt Lake Bees. May 24, 2012 Los Angeles Angels recalled Andrew Romine from Salt Lake Bees. March 26, 2012 Los Angeles Angels optioned Andrew Romine to Salt Lake Bees. November 17, 2011 Venados de Mazatlan placed 3B Andrew Romine on the reserve list. October 10, 2011 3B Andrew Romine assigned to Venados de Mazatlan. September 1, 2011 Los Angeles Angels recalled Andrew Romine from Salt Lake Bees. August 16, 2011 Los Angeles Angels optioned Andrew Romine to Salt Lake Bees. August 2, 2011 Los Angeles Angels recalled Andrew Romine from Salt Lake Bees. June 20, 2011 Los Angeles Angels optioned Andrew Romine to Salt Lake Bees. June 12, 2011 Los Angeles Angels recalled Andrew Romine from Salt Lake Bees. March 29, 2011 Los Angeles Angels optioned Andrew Romine to Salt Lake Bees. September 24, 2010 Los Angeles Angels selected the contract of Andrew Romine from Arkansas Travelers. August 31, 2010 Andrew Romine assigned to Mesa Solar Sox. July 23, 2010 Andrew Romine roster status changed by Arkansas Travelers. April 6, 2010 SS Andrew Romine assigned to Arkansas Travelers from Rancho Cucamonga Quakes. February 3, 2010 Los Angeles Angels invited non-roster SS Andrew Romine to spring training.